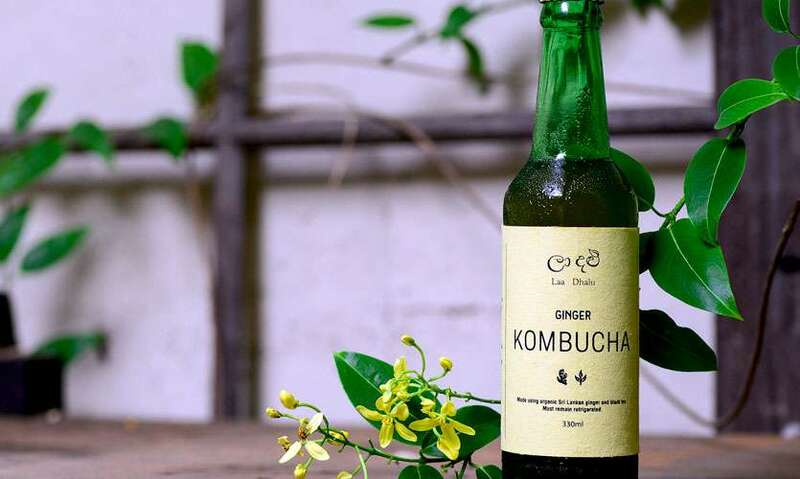 The thought of sipping on a fermented tea made using a type of fungus did put me off the idea of trying out Kombucha for the first time, however when I did try it I was pleasantly surprised. It was refreshing and light and naturally carbonated – the ideal thirst quencher on warm and balmy Colombo afternoon. The drink is traditionally tea based and the culture interacts with the tannins and the caffeine which essentially form the bubbly brew. 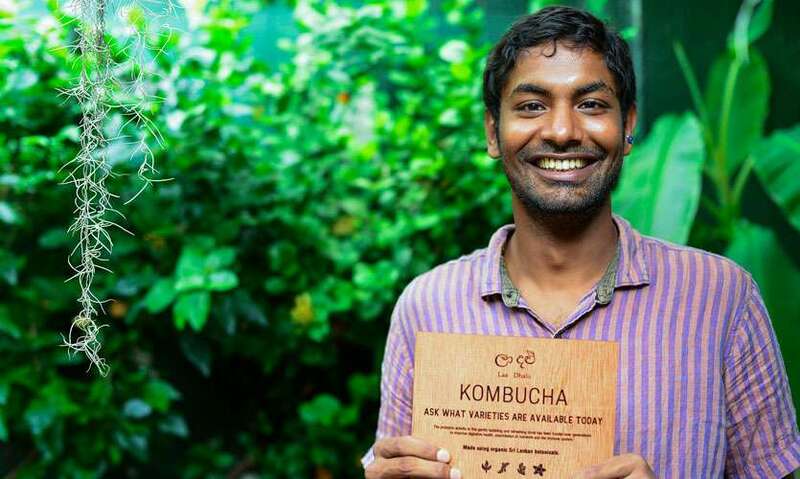 Laa Dhalu is owned and run by Givanke Goonetilleke and is one of a few companies that makes Kombucha here in Sri Lanka. 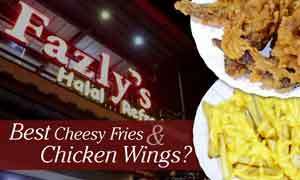 He has five flavours on offer and here is what we thought. 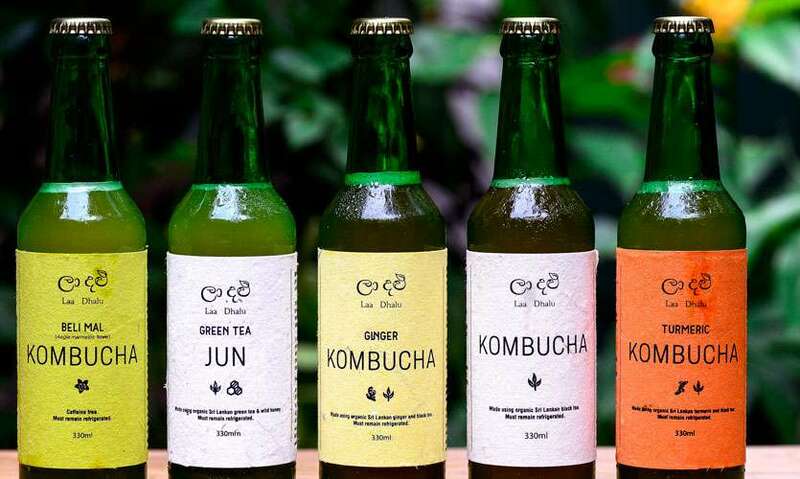 The Kombucha, Ginger and Turmeric are all black tea and brown sugar based drinks with the former being the most traditional one, while Givanke sources the ginger and turmeric used for the drinks from certified organic farmers. Ginger was easily our favourite because of the strong notes of ginger coupled with the bubbles in the drink, quite similar to ginger beer but earthy in flavour. 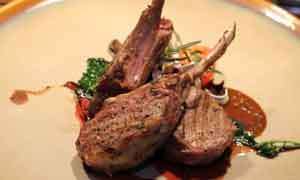 Turmeric is also strong in flavour and sharp on the tongue. 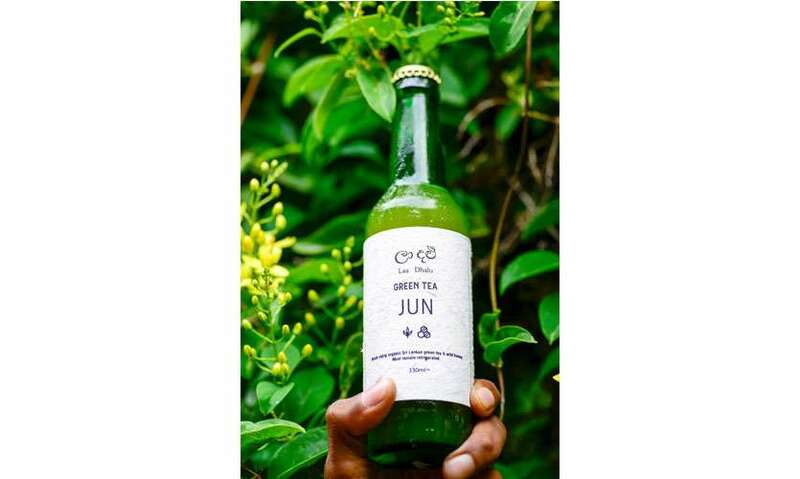 Their only green tea and honey based drink, Jun is quite light on the senses and it is the earthy wild honey that stands out in this drink. 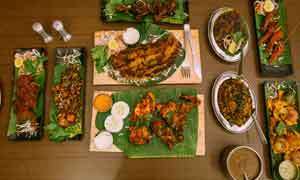 The only flavour that didn’t quite sit well with us was the Beli Mal which had more of a traditional medicinal after taste. 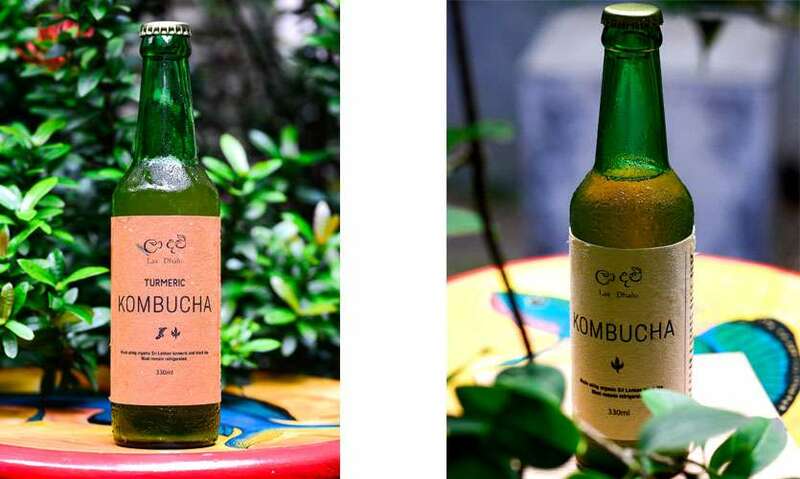 Tips/notes by author: At the moment Laa Dhalu Kombucha is only available at selected outlets around the island. The drink must be stored in the refrigerator so as to avoid it from fermenting and is best served chilled.